Experience the largest and most influential technology event on the planet, where industry leaders and rising stars come together to explore the future of innovation. Catch a sneak peek of the tech innovation that will debut at CES 2020 by attending CES Unveiled events later this year. Stay up-to-date with the latest CES news and announcements. 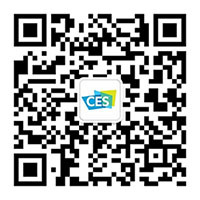 See all CES exhibitors' press releases in a single feed. 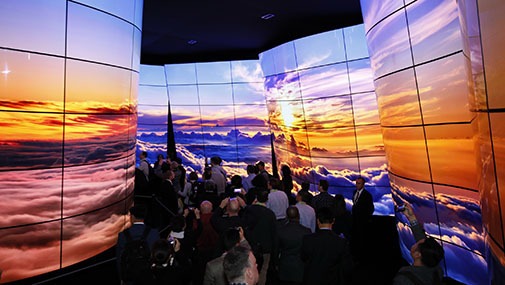 Follow what top news outlets are saying about CES. Browse by day or category or search for a specific image in our photo gallery. Images are available for download in high resolution. Watch trends videos from the show floor, keynote presentations and select conference sessions. Download broadcast-quality HD video content and A-roll interview clips with exhibitors for your TV broadcast and online purposes. Videos are categorized by topic and posted multiple times per day during the show. Arrange for a dedicated broadcast team to assist with logistics for your television, web or radio broadcast. Media rooms will have the tools and assistance journalists need to conduct interviews, break news and share the CES story. CES 2020 media rooms will be announced in the fall. As required by Customs and Border Protection, all international journalists traveling as members of the press must apply for a visa. The required form is the same for all non-immigrant visa applicants. See our visa tip page. Safety and Security at CES. 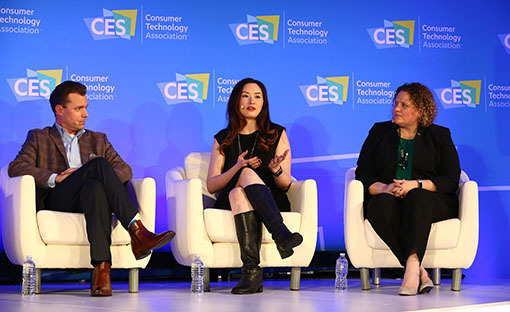 See what you can expect and should prepare for as you plan your CES experience.